Simone completed her Bachelor of Environmental Science (Biodiversity Conservation) and PhD in Plant Reproductive Ecology at the University of New England. Simone has held various research, teaching and administrative positions at UNE. 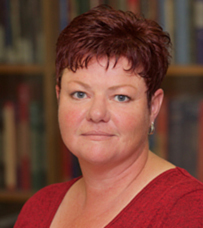 In her role as ESO in the School of Humanities, Arts and Social Sciences, Simone provides assistance and guidance to academic staff relating to UNE’s LMS, Moodle.